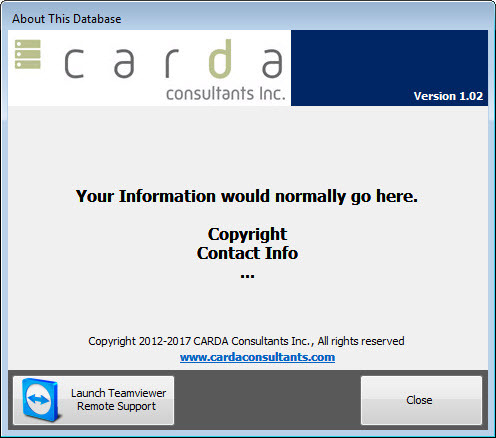 MS Access Teamviewer Launcher – CARDA Consultants Inc.
Take your database support up a notch, or in this case all the way to the top! The MS Access Teamviewer Launcher is a proof of concept of how one can integrate TeamViewer QuickSupport into one MS Access database to provide full support to your end-users. Now anyone can launch an executable (exe) file, but I take this to the next level by not only launching the TeamViewer QuickSupport executable, but then capture the TeamViewer credentials (ID and Password) and also take a screenshot of the Teamviewer application to create an e-mail to the database administrator. 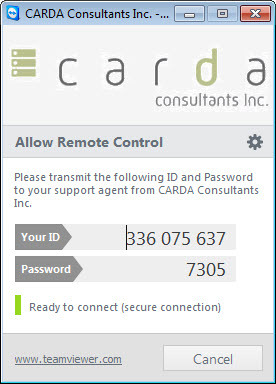 As such, the database administrator receives all the information via e-mail to establish a remote connection to provide support to their application. For this solution to work, you must have the required license(s) of TeamViewer. Below is a mockup About This Database form in which I integrated a simple button used to launch the entire process. This button could be integrated into any form or the code behind it could be called wherever you’d like. 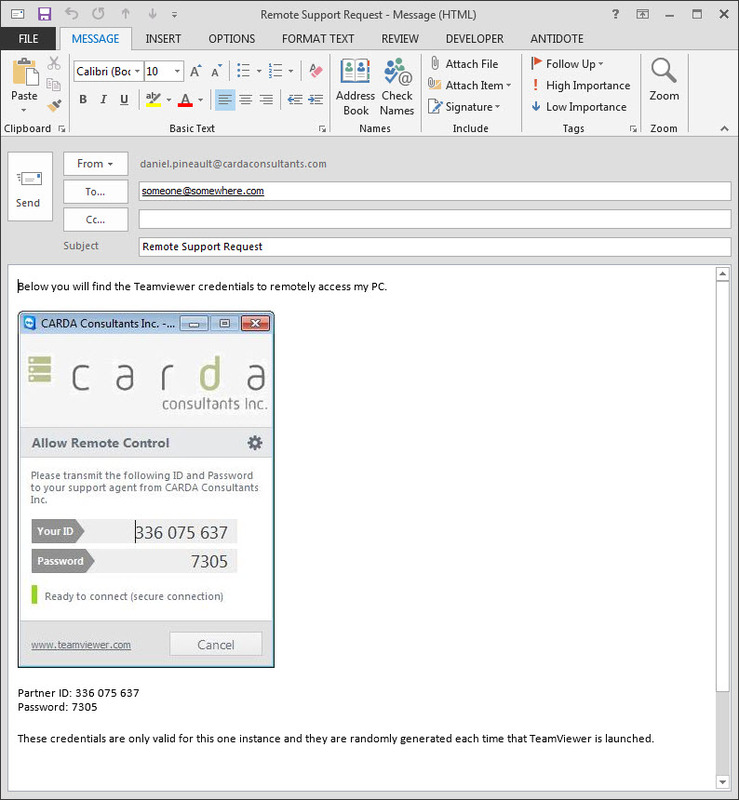 Finally an e-mail will be created which include a screenshot the the QuickSupport window, as well as a text version (to enable copy/paste) of the required TeamViewer credential to establish a remote connection. The e-mail can either allow user interaction, or be sent automatically and seemlessly .